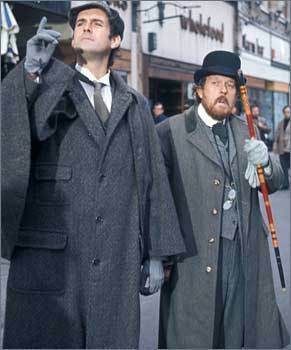 John Cleese as Sherlock Holmes. The Strange Case of the End of Civilization as We Know it - 1977. With Arthur Lowe as Dr. Watson.. Wallpaper and background images in the Sherlock Holmes club tagged: sherlock holmes john cleese arthur lowe john watson. The Strange Case of the End of Civilization as We Know it - 1977. With Arthur Lowe as Dr. Watson.